IF YOU suffer from low back pain and sciatica, you are one of over 30 million adults in the US with this often crippling spinal condition. 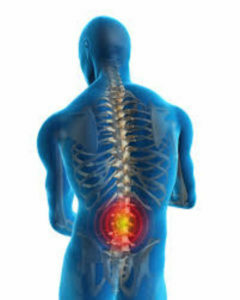 Shooting, stabbing and burning pains from the low back, sometimes with additional pain through the buttocks and down the legs are all symptoms of “pinched nerves” and “sciatica”. Recent advances in the treatment of sciatica and lower back pain have led to the development and huge success of Non-Surgical Re-Constructive Spinal Care. The excellent results of this treatment have been published in major medical journals with success rates as high as 90%. Some back surgeons recommend their patients try this treatment first before having back surgery. In Quincy, you can try Non-Surgical Re-constructive Spinal Care at Adjustin Chiropractic – the office of low back pain and sciatica relief expert Justin Felsman. Justin and his team of fully trained spinal care specialists have helped over 1,000 patients find relief from their agonising back pain and sciatica. According to Justin, We use a combination of ultra-advanced technology, not found elsewhere in Quincy, for precisely diagnosing the cause of your low back pain and sciatica; a unique program for reconstructing the damaged area causing the pain; this means superior long-term results for most people. Because the treatment is non-surgical, safe, and easy, most patients report an almost immediate relief from their pain. Patient Greg L. from Quincy says ”When I first came in I could hardly move and was in excruciating pain beyond measure. The worst part is my job requires me to have a strong back and I couldn’t do anything due to the intense pain in my back into my buttock and down my legs. The medications I took did nothing from me! My friend insisted I respond to one of these ads. I thought it would be a total waste of time, but I’m so glad they kept on at me. Thank God I called your number. You have helped me tremendously and now I keep after all my friends so they too can have relief! All you have to do to receive a thorough diagnostic examination with the most advanced technology in the world and a comprehensive easy to understand report on your state of health is call (217)214-4440. Mention this article (CODE: JDF1021) and Justin will happily reduce his usual consultation fee of $250 to just $29. But hurry! Due to obvious reasons – this is a time limited offer – with only 100 reader consultations available at this exclusively discounted rate. My advice, don’t suffer a moment longer… Find out if Non-Surgical Re-Constructive Spinal Care can help you, book a consultation with Justin and his team now by calling (217)214-4440. They are waiting to take your call today. superior, lasting relief. In fact, many who’ve suffered and have tried other remedies have told them they gave them back their lives! Call them now and get a full and thorough examination to pinpoint the cause of your problem for just $29, the normal cost of such an exam is $250 so you will save $221! Call them now at (217) 214-4440 and cut out or tear off this valuable article now and take it to your appointment. You’ll be entitled to a comprehensive examination to diagnose the cause of your problem – and you’ll be on your way to safe, lasting relief! Don’t delay your important diagnosis and treatment another moment! You can even call on the weekend and leave a message on their answering machine to secure your spot as they promise to return all calls; during the week they are very busy, so if they don’t pick up straight away do leave a message.